We have seen players skip college and play overseas with mixed results. Would Brandon Jennings been better spending one year in college? How about Emanuel Mudiay? Or Terrance Ferguson? That can be debated until the cows come but what is apparent is players need an alternative to college. College isn’t for every top flight basketball player coming out of high school and that’s ok despite what people say. 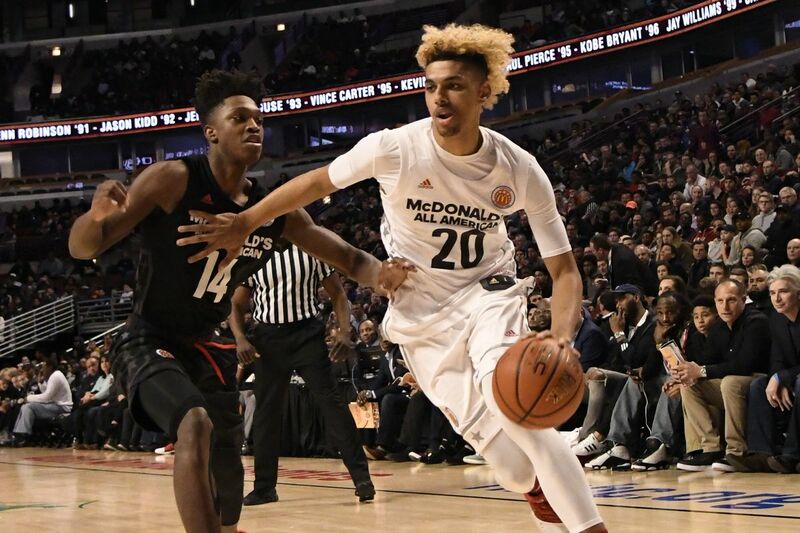 The latest player that will be put under that microscope will be Brian Bowen. For those who don’t follow high school basketball much, Bowen was a five star recruit who was headed for Louisville before a wide ranging FBI investigation into college basketball, derailed his plan. Instead of evaluating it’s own processes and procedures, the NCAA is mulling over putting in even more rules including implementing a dead period aimed at taking the steam out of summer basketball leagues like Nike’s EYBL and Adidas’ Gauntlet league. The real solution might be the one implemented by Australia’s National Basketball League (NBL). The “Next Stars” program aims to attract players who want an alternative to college. It’s a brilliant idea but it’s sad that it doesn’t exist in the United States. Recruits who want an alternative to college are forced to find opportunity outside of the country. This helps protects the NCAA’s revenue stream by telling top recruits that it’s college or nothing. Like Ferguson, Bowen will be the latest player traveling to Australia to pursue his basketball career. Yesterday Bowen signed with the Sydney Kings, a team that has an NBA feel. Already on the Kings roster are former NBA players, Andrew Bogut and David Wear. They are coached by former Seton Hall star, Andrew Gaze. Whether this works or not, having an alternative to college is an option that’s long overdue. There’s been talk that the NBA G-League could provide similar opportunities but that seems highly unlikely to reach a grand scale, if any at all. So there will be a lot of eyes on how much success Bowen has in Australia and it could start of trend of players leaving the United States to play basketball.